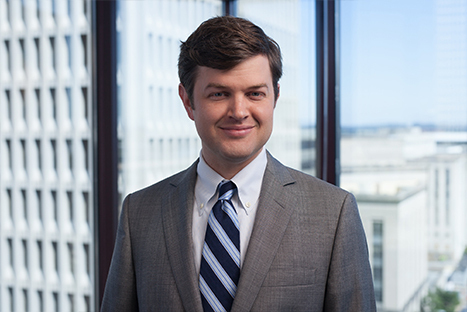 Scott Tift primarily represents people in civil rights litigation and represents employees in disputes with their employers. Scott also represents labor unions on all types of union matters. Civil Rights: Mr. Tift regularly represents individuals whose civil rights have been violated by their employers or by government actors. In recent years, Mr. Tift successfully represented government employees who were illegally fired because of their political beliefs; and Mr. Tift successfully represented children and their parents in a Freedom-of-Religion lawsuit against a local public school system. Illegal Pay Practices: Mr. Tift has recovered millions of dollars on behalf of employees whose employers have violated state and federal wage laws. Such cases include cases for employees who have been forced to work off-the-clock, without pay, and cases where employers have incorrectly designated employees as “managers” to avoid paying them overtime wages. Wrongful Termination: Mr. Tift frequently represents employees who have been wrongfully terminated, including employees who have been fired for taking leave under the Family and Medical Leave Act (FMLA) and including employees who have been fired because of their religion, ethnicity, race, or gender. Employment Contracts: Mr. Tift regularly advises employees concerning non-compete clauses, severance agreements, and other issues related to employment contracts, both before a job begins and when a job is ending. Whistleblowers: Mr. Tift has represented numerous whistleblowers who (1) need assistance revealing their employer’s fraud to the government (such as Medicare fraud); or (2) who have been fired or disciplined because they tried to report illegal activities. Prior to practicing law, Mr. Tift worked on President Bill Clinton’s scheduling and advance staff, where he assisted in the coordination of Mr. Clinton’s schedule and staffed Mr. Clinton at events around the country and abroad.